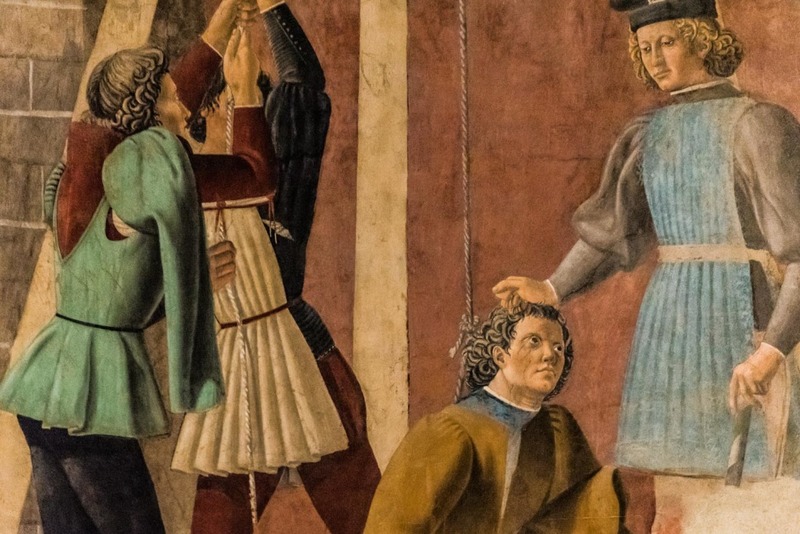 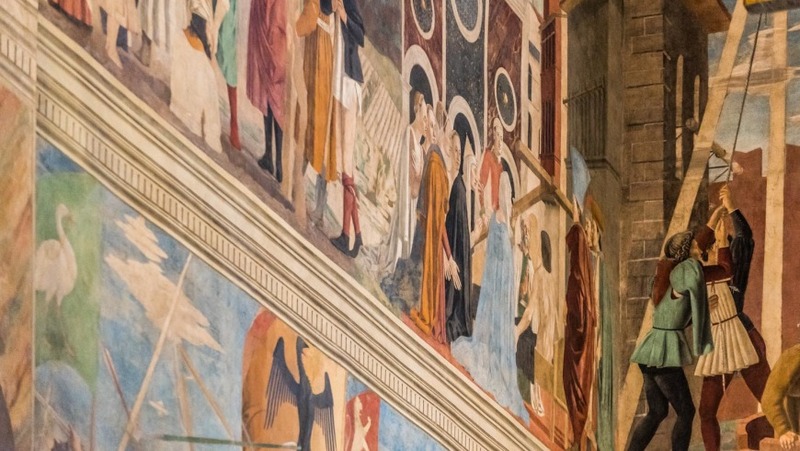 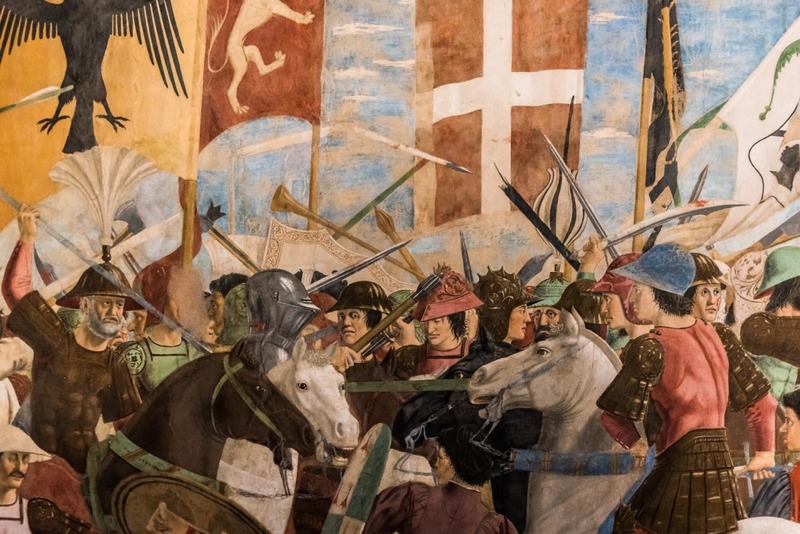 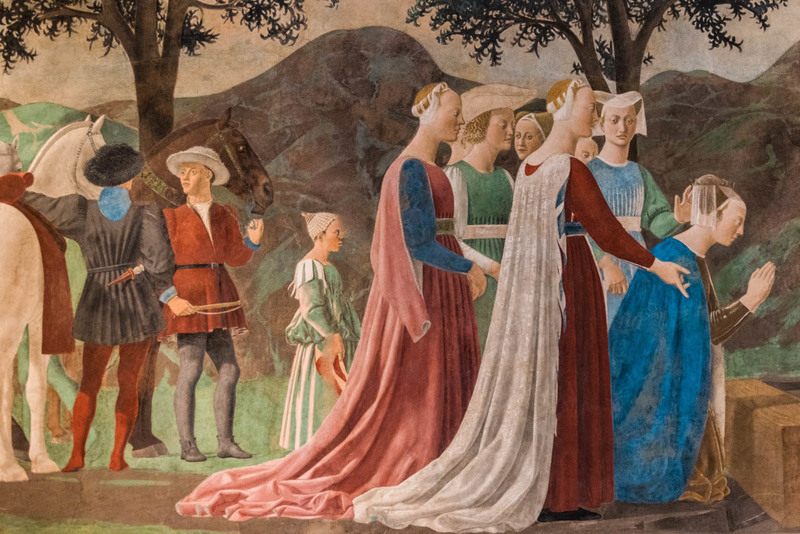 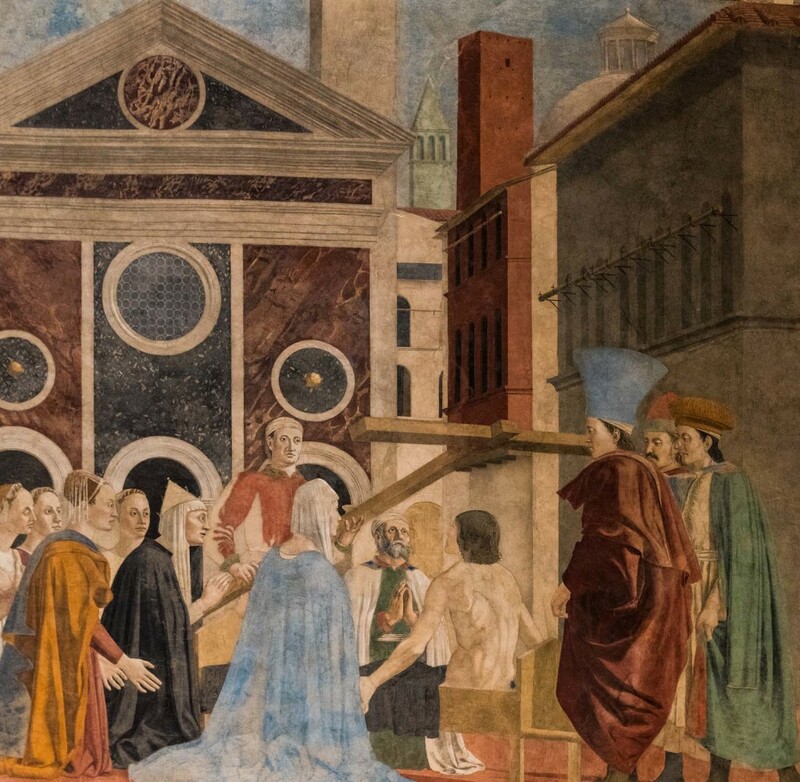 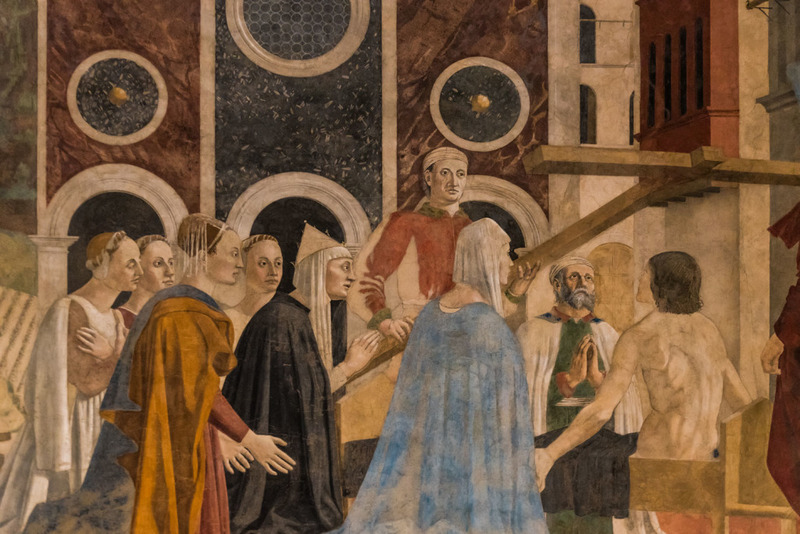 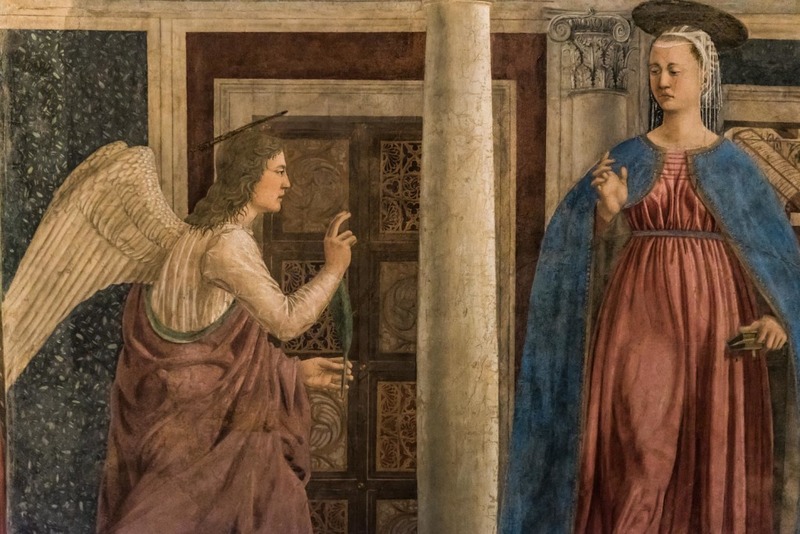 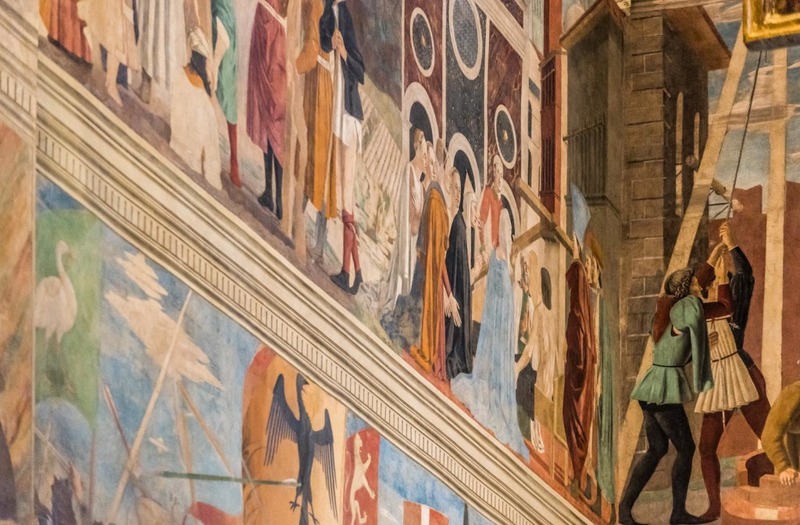 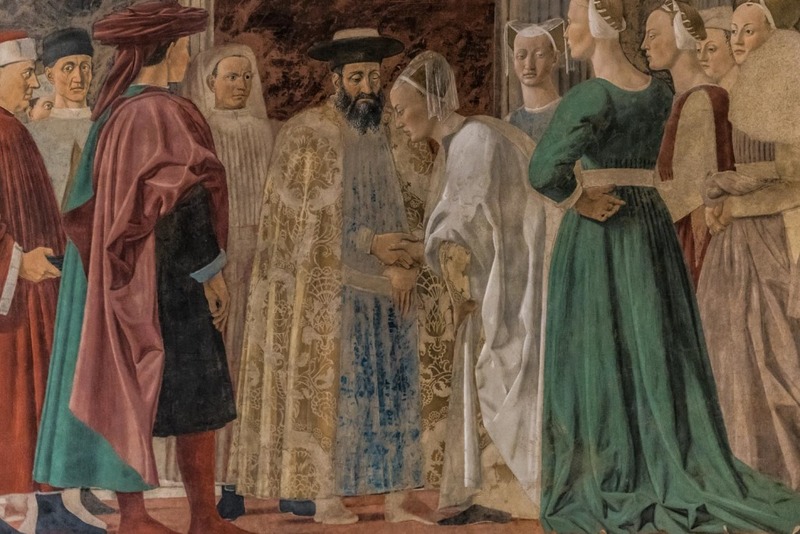 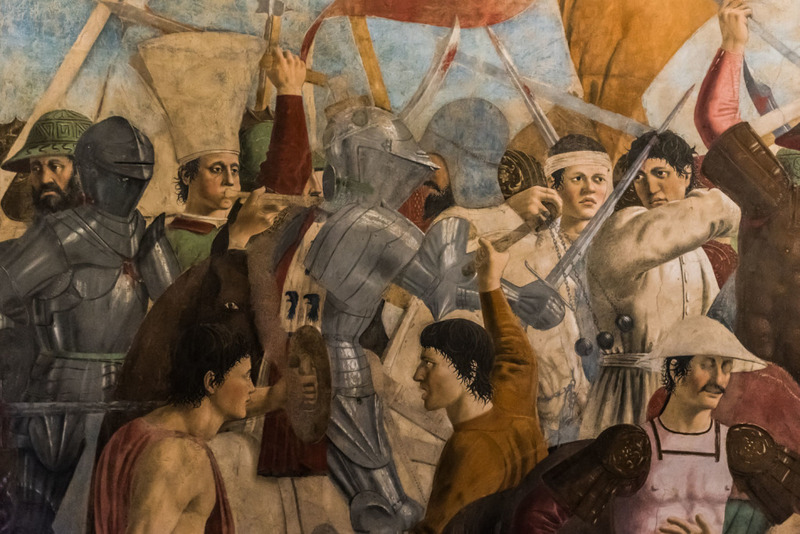 In 1447 the Bacci family commissioned the Florentine painter Bicci di Lorenzo to decorate the Cappella Maggiore of the church of San Francesco in Arezzo. 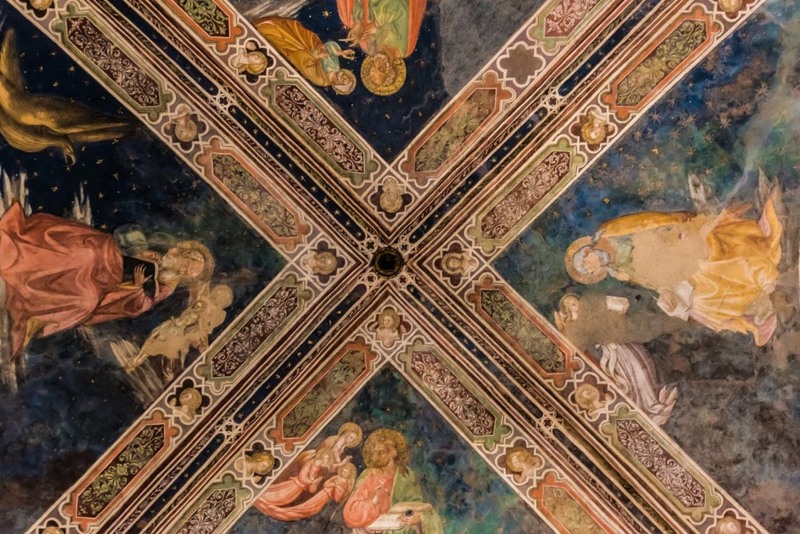 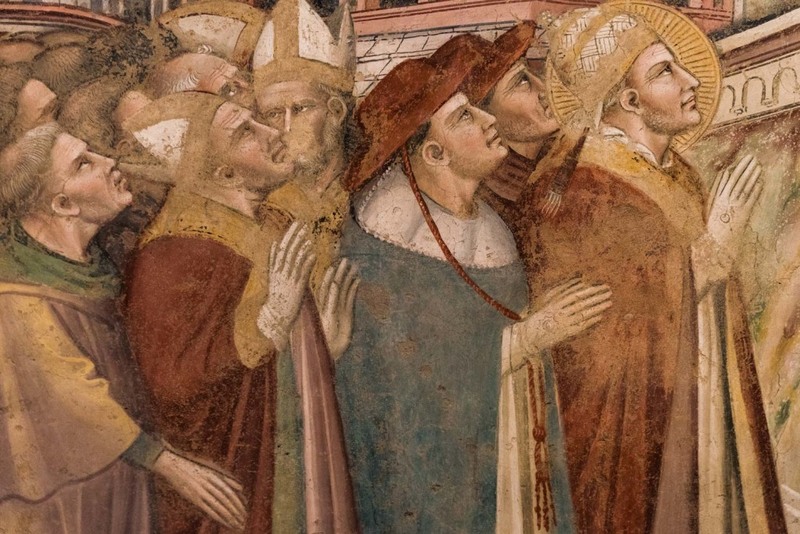 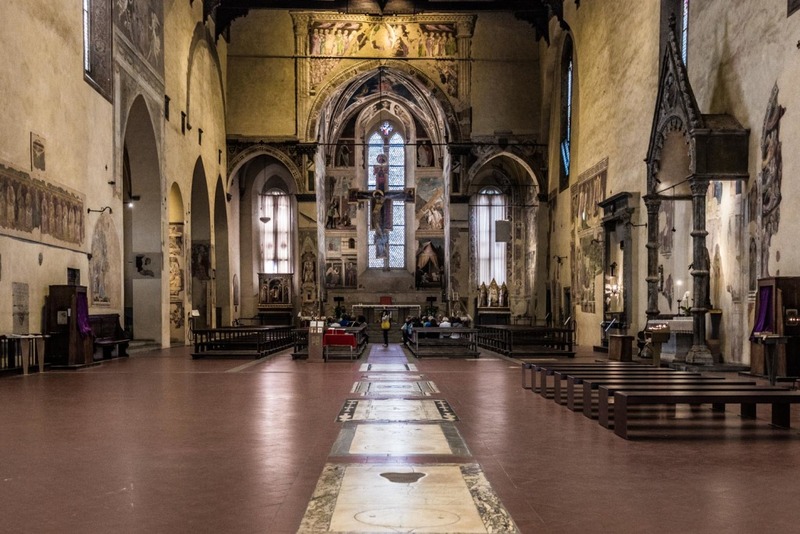 When Bicci died, in 1452, only the four Evangelists were painted in the large cross vault. 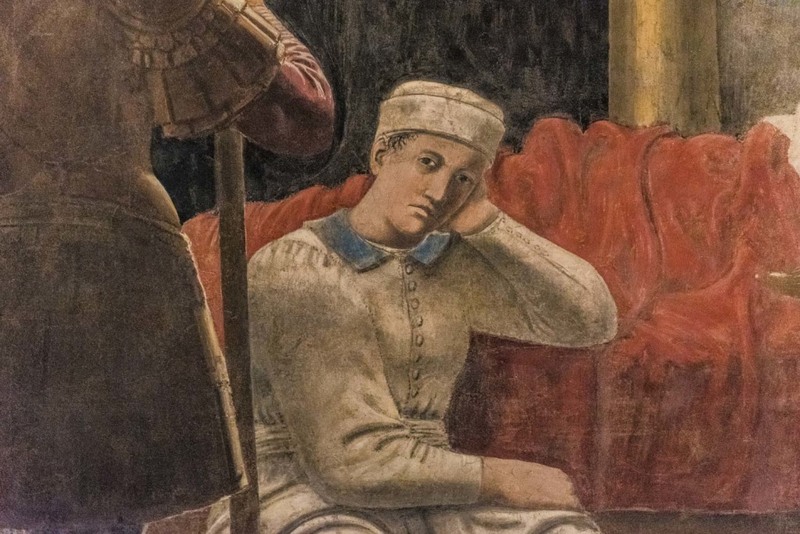 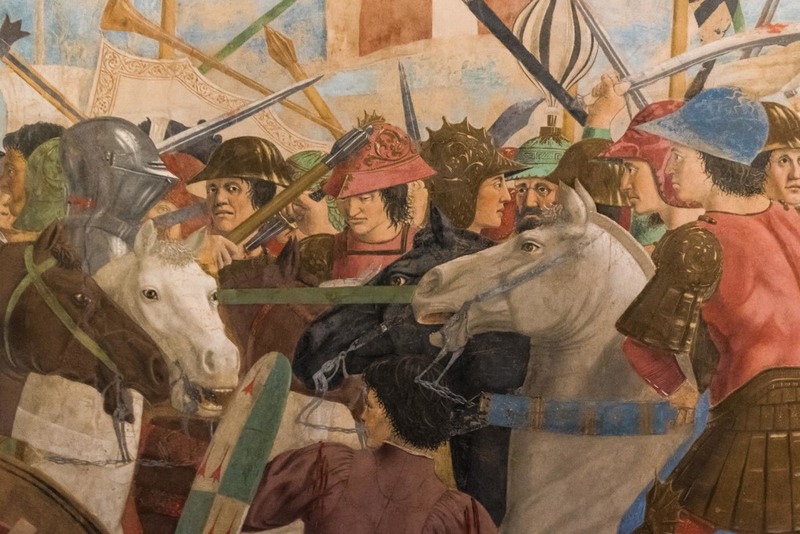 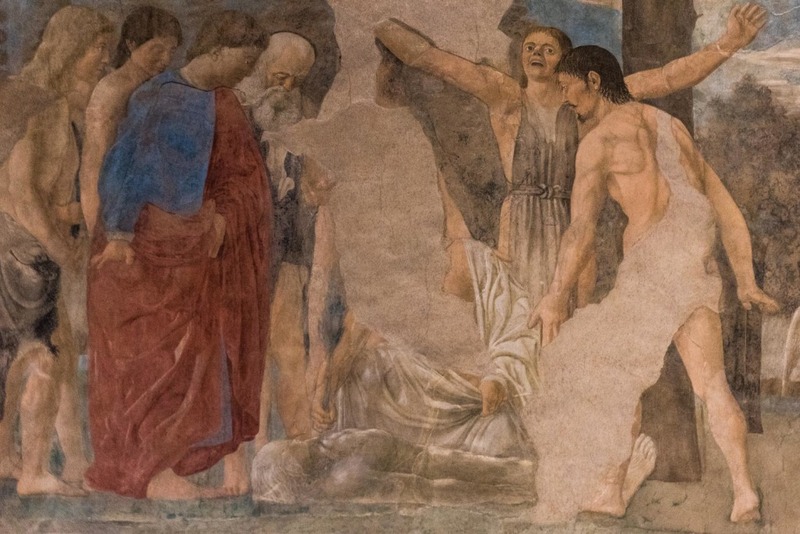 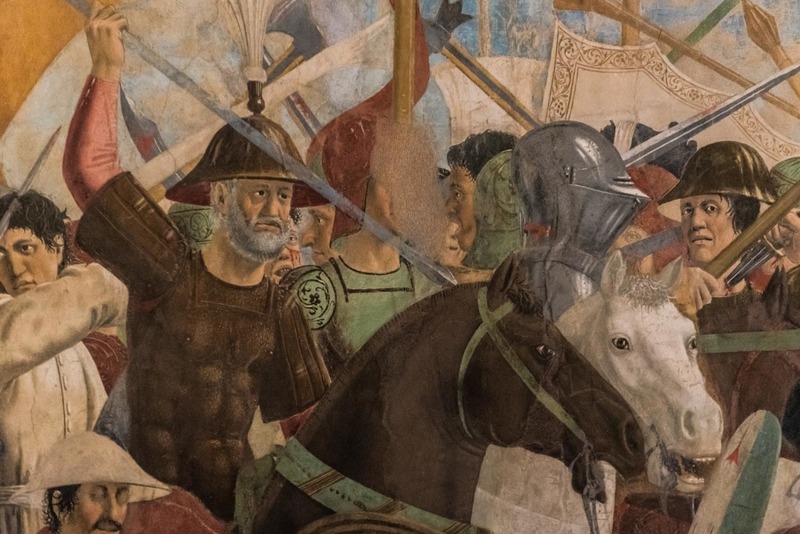 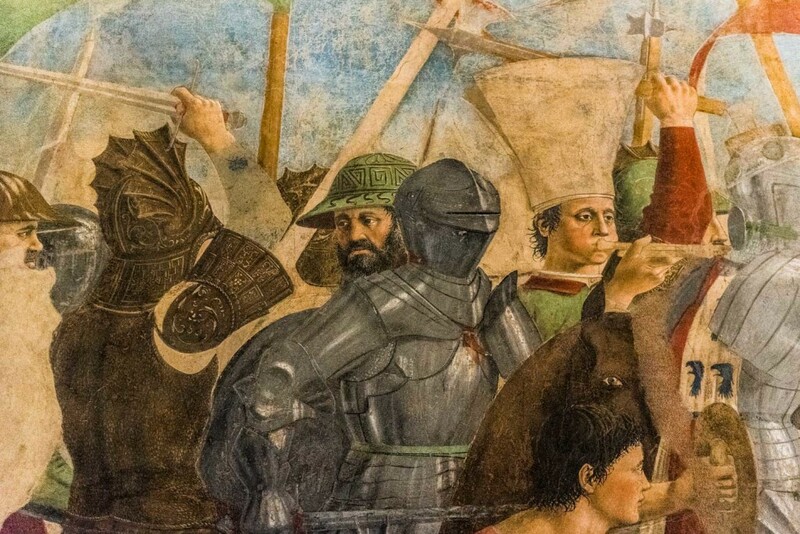 The task of finishing the work was entrusted to Piero della Francesca (1415? 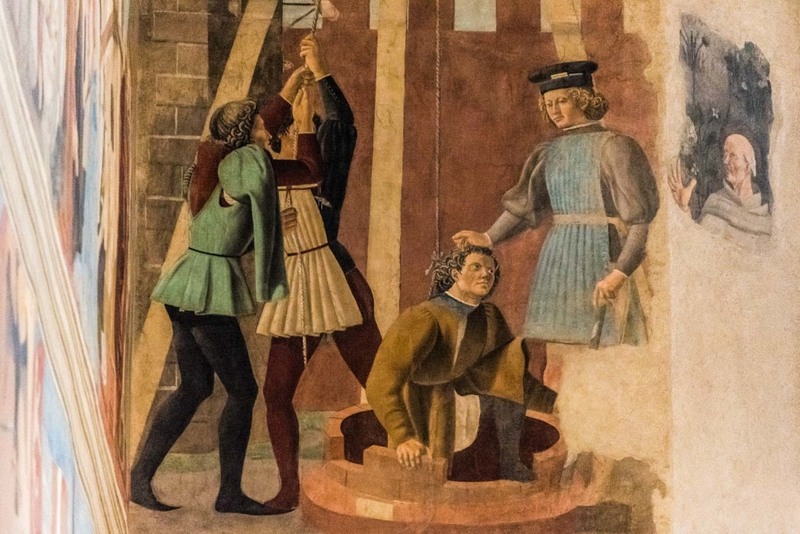 – 1492), an artist born in Borgo San Sepolcro who was a great interpreter of perspective rules and of fresco techniques. 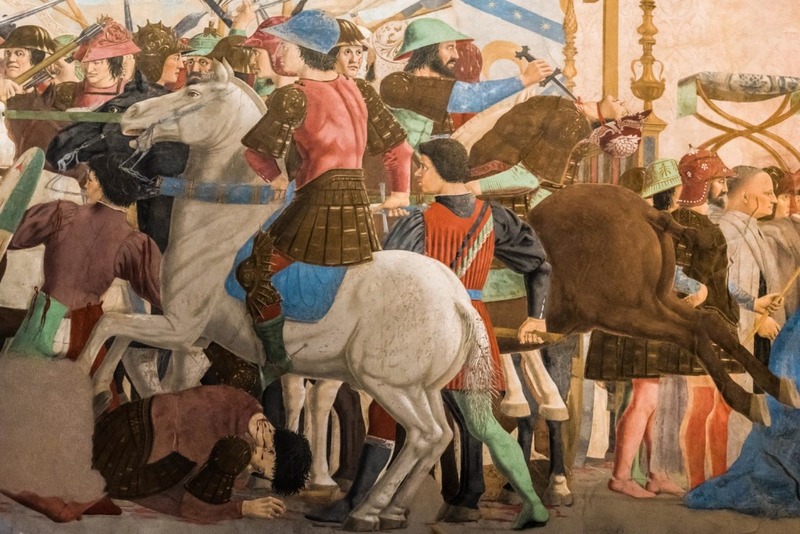 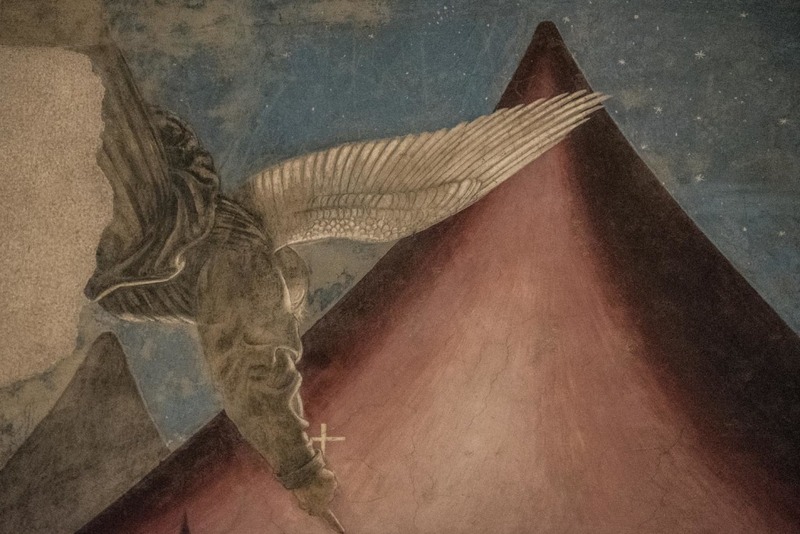 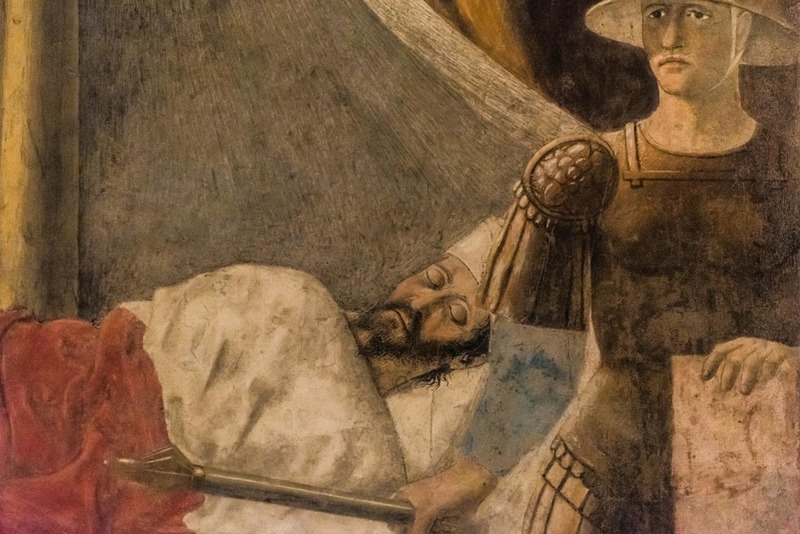 It is believed that Piero immediately continued Bicci’s work to represent the cycle of the “Golden Legend” by Jacobus da Varagine, an iconographic source for many Tuscan artists since the fourteenth century. 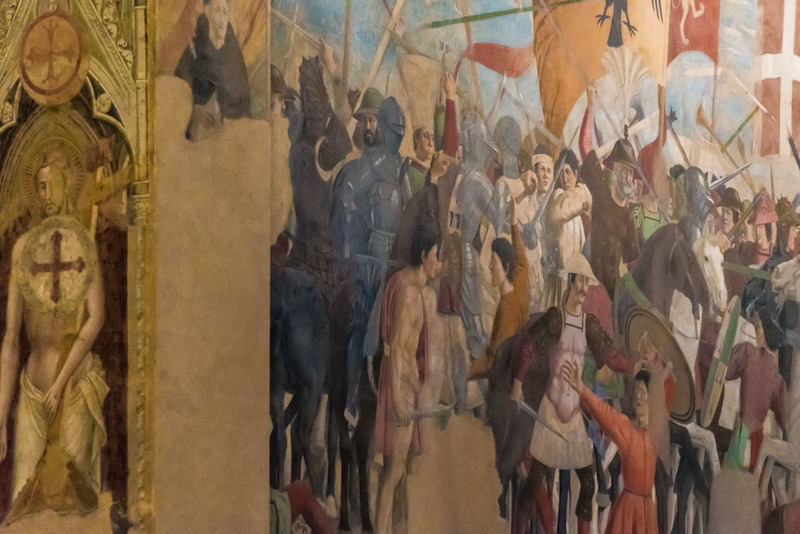 The story is narrated through 12 main episodes, inserted in the different registers that make up the cycle. 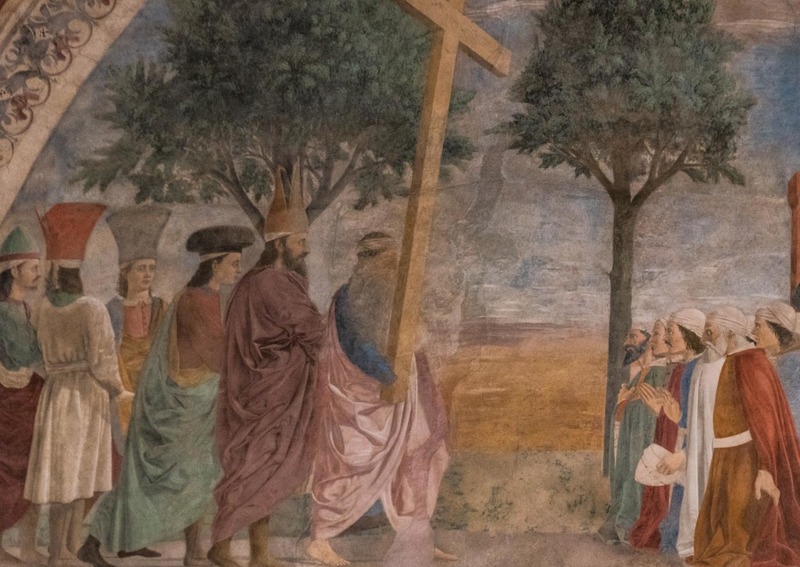 It begins with the Death of Adam, and ends with the Exaltation of the True Cross and the Annunciation. 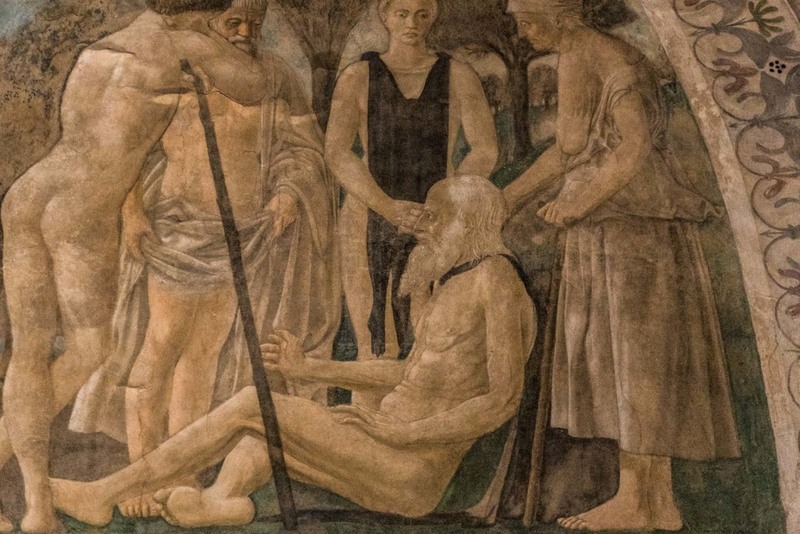 It seems to have spread over 250 “days of work”. 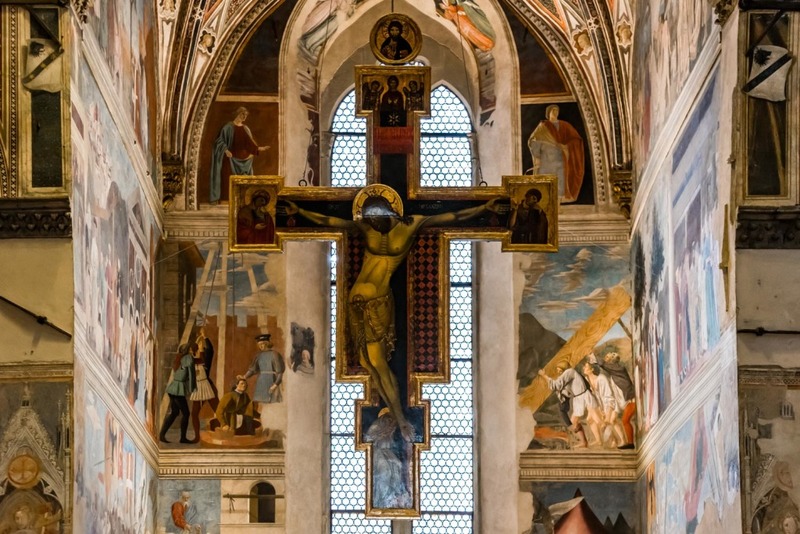 The so-called Legend of the True Cross is considered one of the absolute masterpieces of Italian painting of the fifteenth century.